Tired of the endless unsolicited entreaties to “Connect via Facebook” as you surf the web? Excited for Y Connect and want to keep a clean palate beforehand? Scared about Facebook not necessarily having your best interests at heart when it comes to privacy? Facebook Disconnect will “presumably” prevent the sending of data back to Facebook across the one million sites that use the Facebook Connect service. 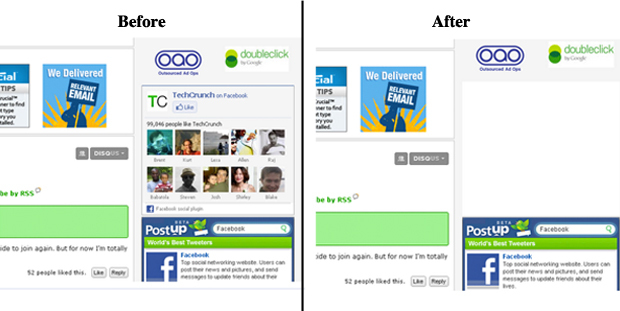 So far the ones I’ve tested it on (ehem, Huffington Post) seem to be kosher as I no longer see Facebook integration. Okay well now they do.